Social media channels give a great opportunity for small and big businesses to reach an expanding audience. Overall, 61% of organizations pointed out a positive impact on revenue growth as HubSpot research reported. Also, certain marketing professionals share that 76% of people use their Facebook for searching for interesting content. TechCrunch wrote an article providing facts that eMarketer estimates that Instagram will generate $5.48 billion in U.S. ad revenue. LinkedIn keeps on being the most effective social media platform for seeding content. Despite the said numbers, there are still some specters of doubt, uncertainty, mistrust, and prejudices like “social media is too time-consuming” or “it provides too little ROI.” That mood about social media leads to missing an opportunity to attract huge numbers of potential customers they could reach on Facebook, Twitter, LinkedIn, Instagram and other social media platforms. When it comes to selling social media services to clients, agencies and freelancers meet the common fear their clients have — the fear of the unknown. That’s why it’s important to present people with certain key pieces of information which fully can show what you do and how you can help. If you tell about the benefits a client may get at the end, they will see that they need social media as a part of their marketing plan. If you’re still puzzled on how to sell your social media marketing services, think about stories and examples which can prove the benefit your clients can get at the end. For instance, conduct a thorough analysis of their competitors and identify their successful cases. Surely, you can’t show your client a competitor’s real ROI, unless you research for an interview about the competitor’s social media strategy. But you can show them things about their competition’s social audience, like the number of fans and followers they have and how much engagement their pages have. 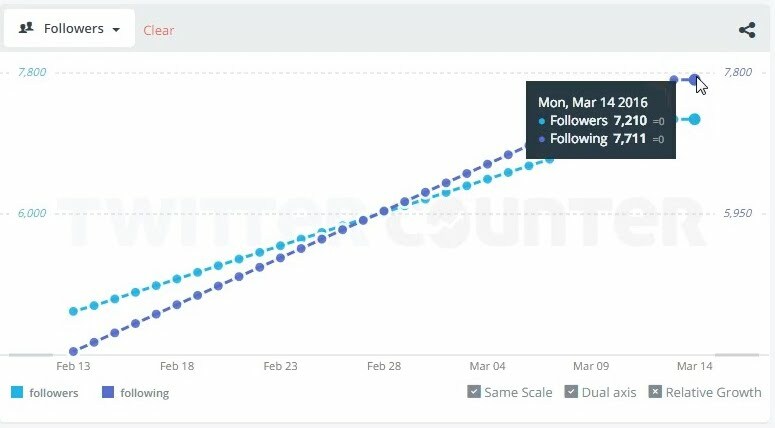 Utilize the TwitterCounter to show a competitor’s follower growth for a span of up to three months. 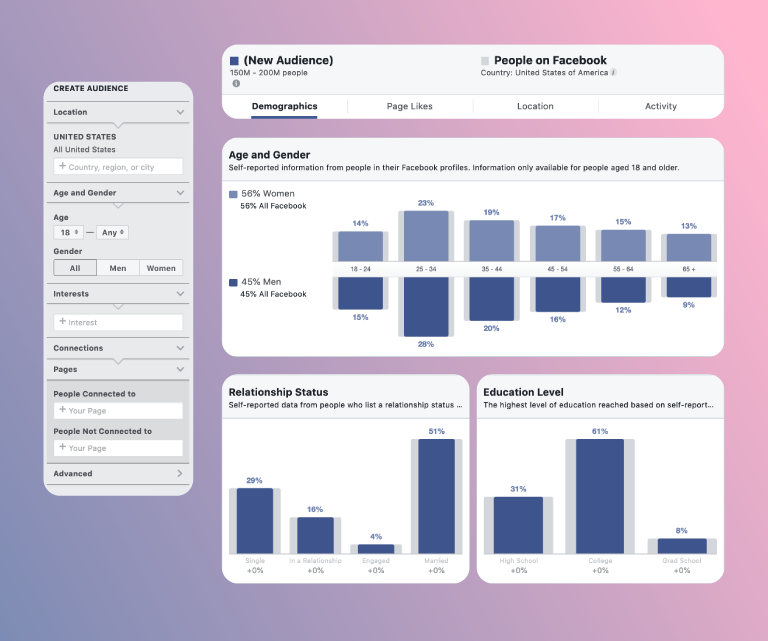 Use Facebook Insights to show the competitor’s public insights data by clicking on the number of likes for their page. Most business owners, when presented with the cold, hard fact that their competition is already active on social media, will realize that they need to get their stuff together and get with the program. According to a handy infographic with the latest social media statistics of 2018 by Top 10 Website hosting, there are 3.1 billion active social media users worldwide. Facebook boasts 2.2 billion monthly active users, adding 6 new profiles every second. Twitter has 336 million. LinkedIn has 467 million, Instagram had reached 1 billion and still rising. With all those people active on so many social media channels, why wouldn’t a brand want to engage with them? Show your clients these statistics, and then break down which channels they should be using based on their target marketing demographics. For instance, if they target baby boomers in their advertising, show them how many people between the ages of 60 and 69 are active on Facebook. In a survey conducted by DMN3, 82.3% of their respondents were Facebook users. When they see that social media is where the business is, upselling and cross-selling your social media marketing services will be easier. When your clients understand the importance of social media for their business, they’ll want to know how you can help them out with everything. Create valuable content that will educate your existing and potential customers etc. Share your previous success cases and reviews from satisfied clients. It will help you convince clients to use social media services and gain their trust. You create a post. The post gets liked. It gets shared. It gets shared A LOT. All of a sudden, thousands, if not millions of new people are exposed to the post. It’s a branded post. Those people now know about the brand. Some of those people will click on the call to action. And some of those people will buy. The more people that see a post, the more potential business. Show your client some examples of viral social media campaigns to drive the point home. Then show them how you plan to create contextual, viral content for them. PromoRepublic’s layered content calendar will help you prepare sample posts that are sure to wow. When it comes to selling social media services, the most persuasive and solid argument for agencies is money. Social media marketing is, in fact, one of the least expensive, and most effective marketing methods. Media buys are particularly expensive. A national TV spot can cost as much as $400,000, and 30 seconds of radio can run you $50-$100 if you’re lucky. And, TV and radio aren’t as effective as they used to be. With DVRs and iPods, people manage to skip over ads altogether. Traditional media, even print, is priced based on demographic reach. That’s why the cheapest TV spots are in the middle of the night, the cheapest radio spots are when nobody is listening, and the cheapest print ads are tiny. Social media, on the other hand, has an amazing reach. It’s free to have an account, and it’s always there. The only cost you have is the social media marketing manager (aka, you), and any advertising costs you incur through Facebook Ads or other social media marketing ad platforms. You know that social media presence is important, but what about your client? Here’s the thing, what if you make a comprehensive report with all these graphs, numbers, and tables, without spending hours on it? While you make posts using PromoRepublic, its algorithms track the effectivity of every post including such metrics as clicks, organic and advertising reach, shares, reposts, comments, likes, and visits. Based on such data, it suggests the best posting time and identifies the content audience love most. Measuring results are important without any doubt. But who has the time to handle that? The answer: Facebook Insights, Twitter Analytics, and other non-native tools. They can give you all the information about your clients’ accounts. In case this information isn’t available for your clients, or you aren’t permitted to use someone this information due to a number of privacy reasons, you can show them examples online. When they see how easy it is to measure the success of a post or an ad, they’ll see why it’s worth it to invest in a social media marketing plan.